In recent times, the food and beverage business seems to have become the energy business. The more calories sold (e.g. large snacks or fizzy drinks), the greater the success of retailers and marketers. One doesn’t have to look far to find evidence. The young ladies (pictured) filling up their swimming pool with “slurpee” in 7-Eleven’s “Bring Your Own Container Day” says it all. As I’ve written before, this status quo works for big food. Buying in bulk along the supply chain reduces unit costs, making bigger portions more profitable. But this is detrimental to public health and contributes to food waste. In most fast-food restaurants, most portions are larger than the USDA recommended serving size. Food companies are also emboldened by the prevailing view that to get people to eat more healthily, pleasure must be sacrificed for the sake of good health. They prefer to promise greater pleasure with bigger sizes. To curb supersizing, governments and public health institutions have advocated portion size limits and health appeals, but they have had limited success. Customers feel they are being short changed and food marketers feel they’re being squeezed as they typically extract higher profits from bigger portions. 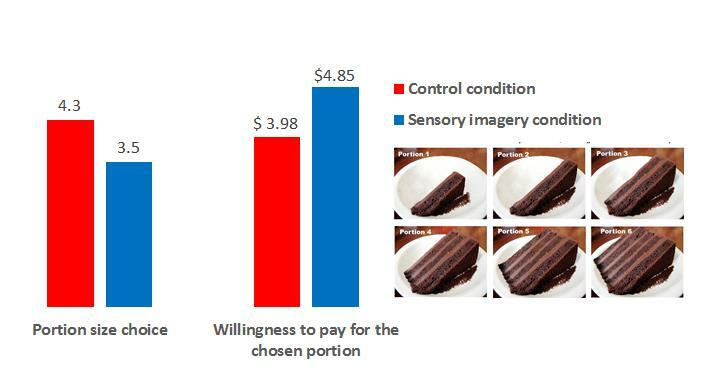 In my latest research with Yann Cornil (INSEAD Phd 2015, now Assistant Professor at the University of British Columbia), Pleasure as a substitute for size: How multisensory imagery can make people happier with smaller food portions, we show across five experiments, that when customers are made to imagine vividly the taste, smell and texture of pleasurable foods before choosing a portion size, they opt for smaller servings. In our first experiment, we tested whether this multisensory imagery would make 42 hungry children choose smaller portions of brownie and a smaller glass of a soft drink. The children saw photos of chocolate cereal, a chocolate waffle and chocolate candies and were then reminded about the five senses they’d learned about during the school year. They were then made to imagine the sensory qualities of eating each food, such as the sound made when chewing on cereal and the smell of the waffle. Our study showed that the brief intervention by school teachers had sizeable effects on their choice of food portions when compared to a control group of children who were shown pictures of children playing at the beach and making a snowman, then asked to imagine senses related to non-food experiences. We replicated similar effects with adults in another study. Further, we found that in another study of adults, they were willing to pay at least as much for smaller portions than consumers in a control condition were willing to pay for larger ones when they were made to think about the pleasurable experience before choosing. Are you an epicurean or visceral eater? In today’s society of plentiful and cheap food, eating behaviours are no longer determined by hunger and satiety. There are many other factors that sway our desires. Research shows that emotions can trigger urges. For example, people eat more popcorn and M&Ms when watching a sad movie and more healthy raisins when watching a happy movie. People tend to eat more if they’ve been socially rejected or negatively stereotyped. 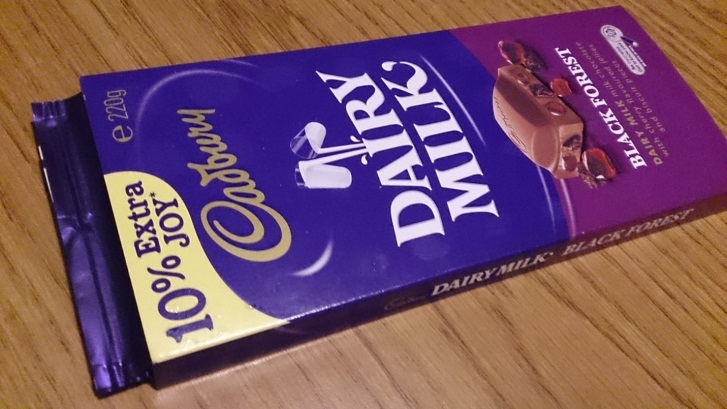 My earlier research also shows that sports fans eat more indulgent foods after the defeat of their favourite sports team. Such eaters have little control over their impulses. Eating related to deep inner feelings is what we call “visceral” eating. But not everyone is so inclined. As another recent paper that I published with Yann Cornil points out, “epicurean” eaters gain pleasure from the aesthetic, sensory and symbolic value of the food. For this research, we asked 250 adults to fill out a questionnaire to measure their responsiveness to external food cues. We found that the extent to which we are visceral or epicurean can drive our preference for bigger or smaller portions and harm or help our wellbeing. In our view, visceral eating pleasure can be helped by a more epicurean perspective and reduce impulse eating. Take the questionnaire to see if you’re a visceral or epicurean eater. But how can this work in practice? Skeptics will argue that restaurant managers and food marketers simply can’t carefully reconstruct the conditions of our experiments when customers are pondering a portion choice. There is a very simply answer: remind customers that the goal of eating is pleasure. In one study, we used the tricks of high end restaurants to put people into a multisensory mood with menu descriptions. In a study of 166 American adults, we showed participants six photos of chocolate cake. In a control condition, the cake was simply described as “chocolate cake”. But in the multisensory condition, we added the following description: “The chocolate has a smell of roasted coffee, bitter-sweet balance taste, with natural aromas of honey and vanilla and a light aftertaste of blackberry.” We then asked them to choose their portion and give us the maximum price they’d be willing to pay for it. This vivid description made hungry consumers choose a smaller portion and made them willing to pay a higher price for their small portion compared to the larger portion chosen in the control condition. Sensory information achieved the same portion control goals as nutritional information, but without negatively affecting our hypothetical restaurant’s profitability. This has implications for a wide range of food providers, from food manufacturers and restaurants to catering companies for schools, hospitals and oil rigs. Not only is customer health becoming a bigger worry, so is employee health, as healthcare costs are rising for organisations, especially in the US. It is clear that people can recognise smaller portions as better than larger ones from a pure sensory pleasure perspective. This suggests that pleasure-based advertising can be an effective alternative to health or dieting arguments to achieve a triple win for public health, consumers and businesses alike. 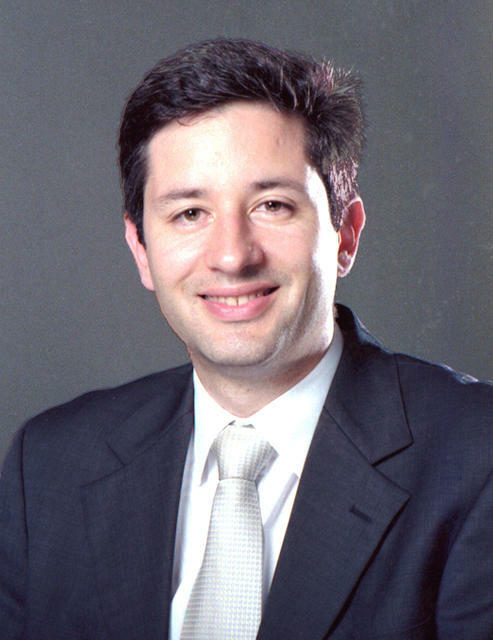 Pierre Chandon is the L’Oréal Chaired Professor of Marketing, Innovation and Creativity at INSEAD in France and the Director of the Sorbonne INSEAD Behavioural Lab.